Sometimes issues in your home may not be obvious, for example, mold. Mold produces spores that spread throughout the air. While you may not know that your house has mold, your body sure will. Coughing, runny nose, red eyes, sneezing, and skin irritation are all common symptoms of mold exposure. If you suspect that you might have signs of mold in your home, then it’s important that you find out for sure before the mold spreads and causes health problems. Often, a surefire way to know if you have mold is if you smell a musty, old scent in your house. Even before there are visible signs of mold on your walls, you should be able to smell if mold or mildew is growing in your home. If there are any places around the house that smell stale, wet, damp, or sour, then you likely have a mold problem. The easiest way to know if you have mold is if you can actually see mold growing on your walls or ceiling. Be on the lookout for small black dots that resemble dirt or grime and greenish black areas with a slimy texture. If any signs of mold in your home are visible on your walls, then chances are good you have mold growing inside your walls too. Mold likes dark, damp places, so make sure to check your basement, bathrooms, windowsills, closets, door seals, and under sinks for signs of mold in your home. Mold and water go hand in hand, and that means a good indicator of mold is visible water damage. Any walls that have staining, greying areas, or discoloration are more than likely to have mold growing inside or on them. Also, if your house has suffered any flooding, where standing water was present, then you are sure to have mold, even if you can’t see any signs of it yet. Once you have spotted any signs of mold, the next step is getting rid of it. It is possible to clean up surface mold on your own, even if it seems like a daunting task. You will need a water-bleach solution, gloves, and a mask. Apply the water-bleach to the spots of visible mold, then wait at least 5 minutes before you scrub the area with a brush or rag. You can also use distilled white vinegar or Borax to kill and remove the mold. 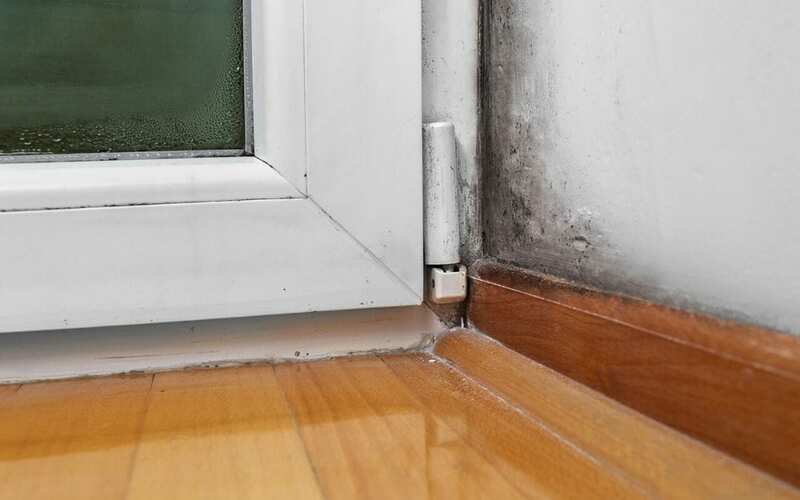 This DIY method should only be attempted in mild, isolated cases of mold growth. Your best bet for fully remediating mold from your house is by calling a professional mold removal expert. There’s no telling the extent of a mold problem until you have had a professional perform a mold inspection in your home. The inspector should use a special moisture meter tool and take a sample of the suspected mold for testing. If the mold in your house is more extensive than you thought, professional mold remediation companies can remove carpet, flooring, and drywall, and then clean and dry out the area with a HEPA filtered vacuum cleaner. You shouldn’t risk your health by living in a house with mold. When you smell mold or see it on your walls, it is time for you to schedule a professional mold inspection, determine the root of the problem, and find out the next steps for mold remediation. Precision Home Inspectors serves Hampton Roads, VA with mold inspections and sampling, and other home inspection services. Contact us to book our services.